The question of whether to take the GRE or the GMAT when applying for business school has no one-size-fits-all answer. Neither test is easier than the other; neither is preferred by admissions over the other; and neither is ‘better’ than the other. Nevertheless, opting to take the GRE was by far the best decision for me specifically, and may be better for you too if you share similar circumstances. If you’re still weighing your options and haven’t decided between pursuing an MBA or another graduate degree, or are considering pursuing dual-degree programs, the GMAT is generally not the most logical choice for you. The GMAT is only good for admission to business school and nothing else, while the GRE is accepted for admissions to hundreds of different graduate programs, including nearly all business schools. If you’re not 100% set on pursuing an MBA and only an MBA, you may want to choose a test that can work for all graduate school options you’re considering so you don’t have to take multiple exams. Luckily, when I applied to business school, I had one target school in mind and that school did not have a preference or bias towards one test over the other. 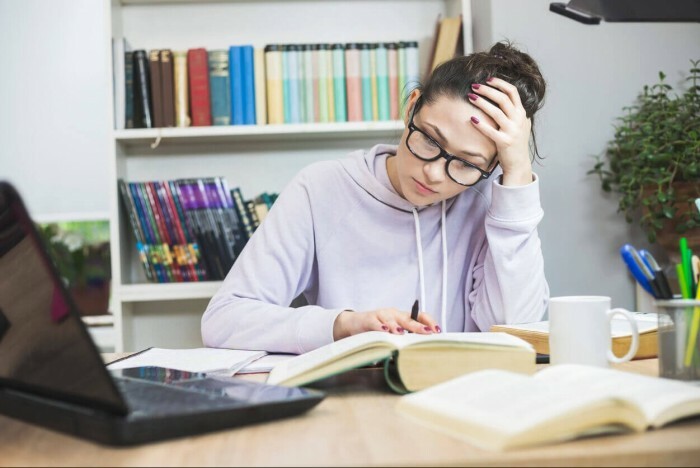 While the partiality towards the GMAT has diminished significantly in recent years, there are still a few schools out there who do not view the tests equally. You’ll want to investigate the preferences of your target school(s) before signing up for one exam or the other, so you don’t put yourself at a disadvantage from the start. I’ve consistently performed well on standardized tests throughout my life, largely thanks to a simple test-taking strategy: getting the easy questions out of the way and going back to review the more time-consuming, challenging questions afterwards. Unfortunately, this approach is literally impossible on the GMAT, because the question you are asked next is adjusted based on your answer to the previous question. Because of this unique computer-adaptive exam layout, test-takers will not be able to use my strategy for tackling harder questions later. For me, this would have meant a big adjustment to my strategy, and likely a good amount of panicking during the exam. Arguably, the most significant reason I chose the GRE is because of my strong appreciation for the English language. Growing up with an English professor for a parent gave me not only a penchant for reading, but also a larger-than-average vocabulary, making the usually challenging verbal section of the GRE a breeze. Conversely, those who have an aptitude for mathematics will find the GMAT a much better opportunity to show off their skills. If you have a profound sense of your strong points, choosing which exam is a better fit shouldn’t be too difficult. If you’re still not sure, take a practice test of each type and see if your scores are vastly different the first time around. This can be a pretty good indicator of which test is more likely to accentuate your strengths. Remember, there’s no good answer for which test is better for everyone, but there’s almost always an answer to which test is better for you. Self-reflection, research, and consideration of the experiences outlined here can help you find it. Andrea Coulis is a senior tutor with MyGuru, a provider of in-person and online GMAT tutoring. She holds a Bachelor of Science in Finance from Indiana University's Kelley School of Business and an MBA from the University of Oxford, Saïd School of Business.